British Voice Over UK was founded by Tanya S Bartlett. At British Voice Over UK we always get excellent reviews and we receive no less than 5 star ratings. We pride ourselves on keeping our clients happy. Please see Tanya's reviews page to see just some of her reviews and those of our other artists. Our clients are international so we work on ALL time zones too! Tanya S Bartlett or by my nickname "Lyrics". Tanya has spent most of her career in Istanbul, Turkey, for 16 years as a professional Language Linguist and Journalist, she ran her own private education business, was a Teacher Trainer for Cambridge University Press and an expat Journalist for the Press Office at the British Consulate. Just some of her professional experience covered a wide range of academic fields in English language and literature, Shakespeare, poetry analysis, memory association technique and theory and knowledge. Tanya also speaks fluent Turkish and she still sometimes produces professional voice over in Turkish on request in this complex second language. Through her teaching she worked with the family of Osman Sinav, one of Turkey’s prominent Film Directors, which inspired her to step into the world of voice over. When Tanya returned to the UK she opened British Voice Over UK and she hasn't stopped since! She has extensive experience recording for all voice over genre. 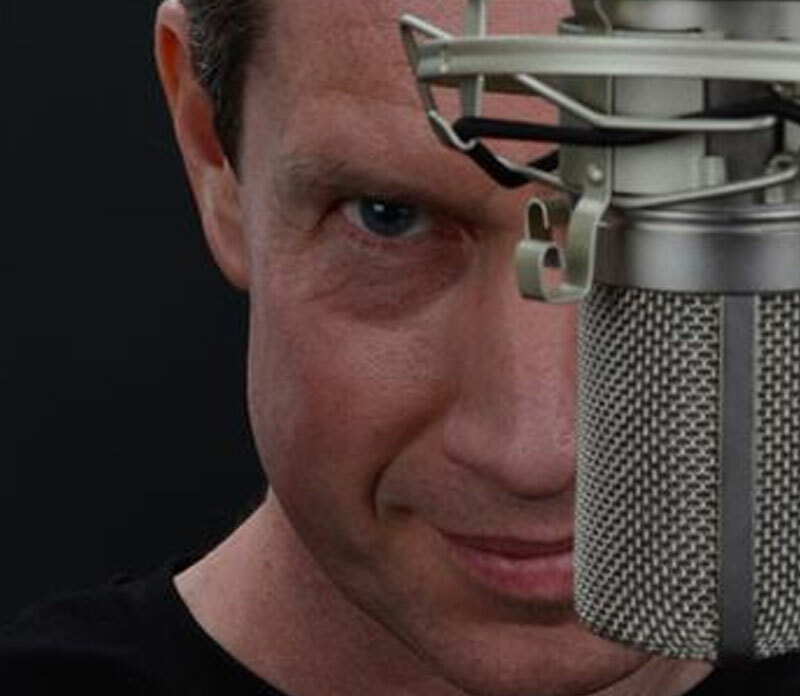 Producing voice over for TV/Radio commercials, corporate videos, video game characters, TV dubbing, documentaries, newscasts, audio books, children's apps, radio imaging, concert promos/events, e-learning and much more besides. Just reach out to Tanya or one of her team and they will have you covered! Tanya, 'Lyrics' produces for worldwide brands and clientele, just to name a few: Vogue, Ralph Lauren, Vero Moda, Pandora Jewelry, Vodafone, Microsoft, Unilever, Puma, Yonex, Jaguar, Landrover, Google, American Express, Kinder Surprise, Weight Watchers, John Frieda, Curvissa, Claireabella, McVities, Just Eat, Antica Sambuca, Heineken, IKEA, Holiday Hypermarket, The Fairtrade Organisation, The Alliance Org, France 24 News presenting, Pizza Express Restaurants, Brewers Fayre Restaurants, Warwickshire County Council, Highways England, and various airlines and the Smile Train Charity. With dynamic sophisticated approach, Tanya also works for certain clients as an, 'on camera' presenter and can be booked with advance notice. She loves what she does and cannot think of an industry she is more passionate about! Tanya and Ian met through Equity and have not looked back since. They have been working together successfully for many years now and highly respect their great working ethic. Ian Champion is also a Director for British Voice Over UK. Ian is a much in-demand voiceover artist with over 2500 credits (many corporates, case studies, video games, animated films and documentaries for brands like COCA-COLA, BARCLAYS, HITACHI, PHILIPS, ROLLS-ROYCE and MERCEDEZ-BENZ), video games for the PS4 and XBOX1, and awards ceremonies such as Mikhail Gorbachev’s 80th Birthday Celebration at the Royal Albert Hall. He is versatile in many British and international accents. Harri is a female professional voiceover artist. 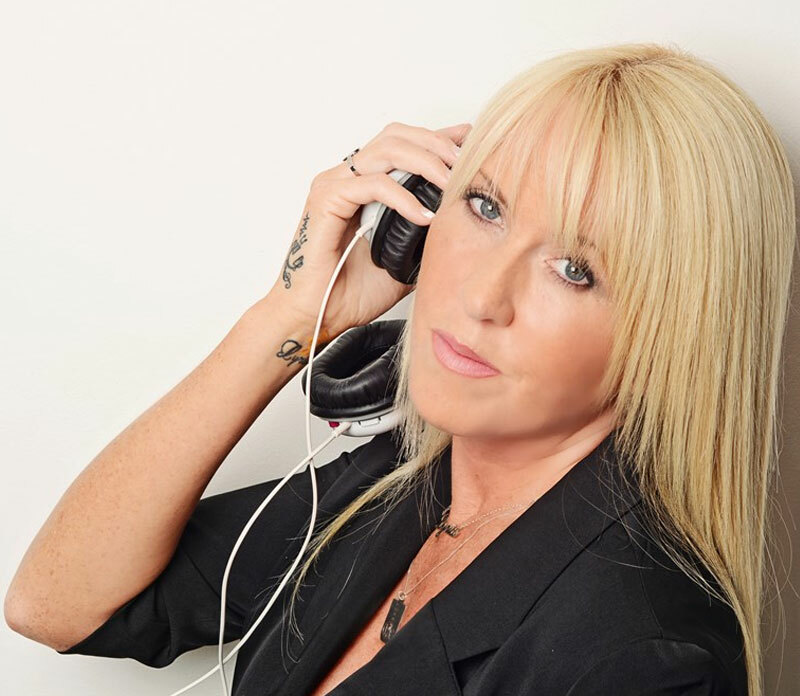 She has worked for some of the UK’s most prestigious commercial radio stations, voicing a wide range of idents and promotional trails for different commercial shows, adverts and on air talent. Creative, bright, sophisticated and vibrant – she possesses a naturally instinctive vocal ability, enabling her to effectively deliver a wide range of voiceovers, which are suited to a wealth of different projects. This has led to her working for some of Europe’s well-known audio brands and companies over a span of 5 years, who are widely recognised and respected across the industry. With this extensive experience behind the microphone, Harri has gone on to voice hundreds of scripts for different clientele – becoming known as a female voiceover artist who is professional, dynamic and always able to deliver the highest calibre of voice over, which consistently resonate with a wide spectrum of audiences. From soft and sophisticated tones to creative deliveries on a variety of accents and dialects – Harri is an excellent expressionist who is truly passionate for performance. 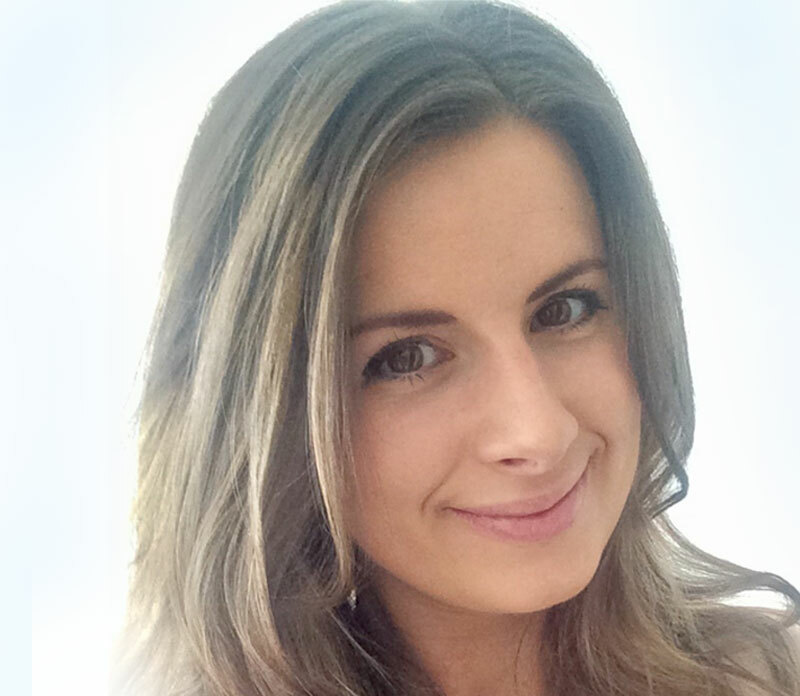 Currently based in Manchester, Harri comes from a background in TV and Radio. Her professional career first began at the BBC and since then, she has produced narrations for documentaries, providing voice for characters in animated series’ and voiceovers for sales and marketing presentation, consistently providing the highest level of delivery. Alongside her voiceover work, she additionally produces content for CBeebies Radio – one of the world’s leading stations for young children. Through this role, Harri directs voiceovers, self-edits audio, as well as playing a variety of different characters in an exciting new series – ‘iSpy Sound Detective Agency’ bringing words to life for a captivated young audience. A can-do attitude and a determination to never allow the first hurdle to be a barrier to her work, career or dreams – Harri will constantly and continually strive to always provide the highest class of voice over for British Voice Over UK clients. 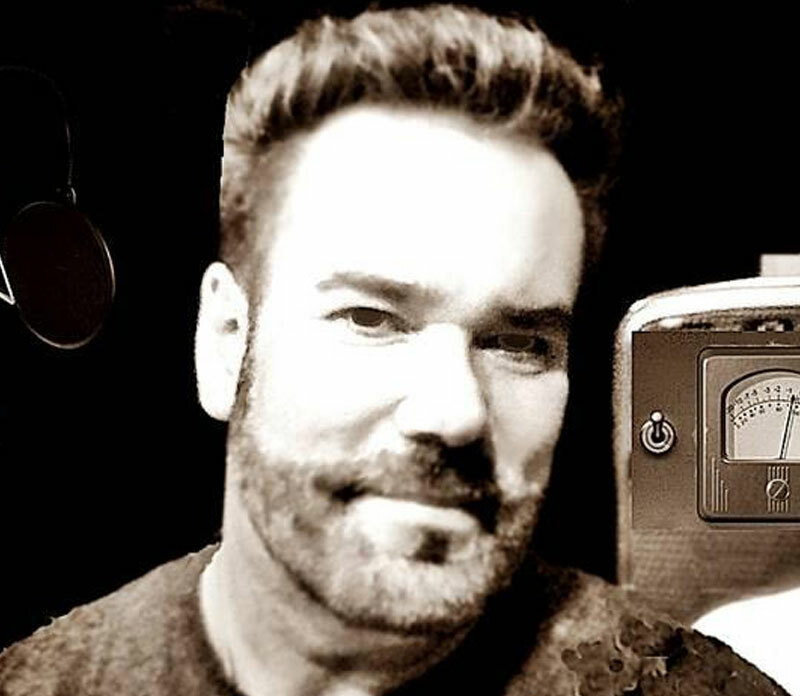 American Voiceover Artist, Markham Anderson, is a native of Texas but lives and works in New York City. With over 300 television and radio commercials to his credit spanning a career of over 15 years, Markham’s broad experience runs the gamut from automotive commercials to video game characters to e-Learning projects. 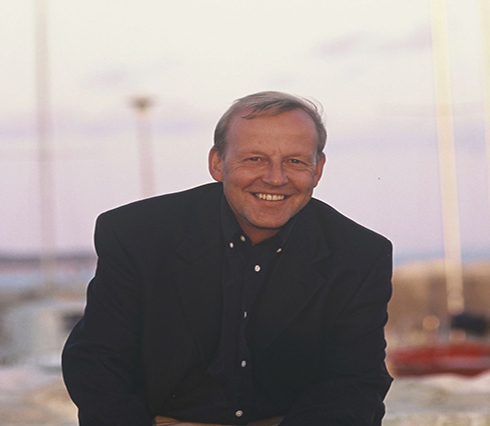 With a distinctively wide vocal range, Markham excels at changing his voice greatly to accommodate his client’s needs. Markham is currently under contract with Hanna-Barbera Productions in Los Angeles, as the voice of beloved cartoon characters Fred Flintstone and Barney Rubble, in all retail products worldwide. Among Markham’s latest bookings are four prominent military characters featured in the newly-released video game, Mobile Strike-War Command, which stars actor Arnold Schwarzenegger in the game’s commercials. Markham Anderson has represented the following brands: Walt Disney Corporation, Levis Jeans, Kraft Foods, Wolf Brand Chili, Budweiser, Corona, Coors Lite, Coca-Cola Co., Hawaiian Tropic, Hilton Hotels, Tri-Mark Theaters, Lexus of New York, Lexus Dealer Group of Texas, University of Southern California, The US Dept. of Defense, The Dept. of Homeland Security, FBI, US Navy, US Marine Corps, US Army Reserves, and many other local and regional corporations and brands. He is also booked frequently for his celebrity impressions, which include: former Presidents George Bush, Bill Clinton, Ronald Reagan, and Jimmy Carter. Other celebrities include actors Sam Elliott, Morgan Freeman, Anthony Hopkins, and Sean Connery! British Voice Over UK's own Markham Anderson is the voice of Harry Potter's Wizarding World's newest attraction at Universal Studio Orlando, Florida and Universal Studios Hollywood! Markham has provided his voice talents to the full-size animatronic character "Garrick Ollivander," the proprietor of "Ollivander's Makers of Fine Wands" in business since 382 BC in London, England. Step into the small dusty shop and gaze up at countless wand boxes stacked to the ceiling, as Mr. Ollivander appears from behind the counter, guiding you on selecting your own magic wand! Enter the Wizarding World of Harry Potter! Daisy Tennant is delighted to be joining the team at British Voice Over UK! Daisy is a professional American and British Voice Over Artist based in the US and working with clients in all time zones. Truly transatlantic, she was born into a family of international authors and grew up in London, New York and California. Exposed from an early age to eloquent storytellers and a plethora of interesting characters, her vocal style has an innate worldliness. Her theatre training runs the gamut from devised theatre at Royal Central School of Speech and Drama in London to Lee Strasberg in New York, and in VO with David Rosenthal, CEO of Global Voice Acting Academy. 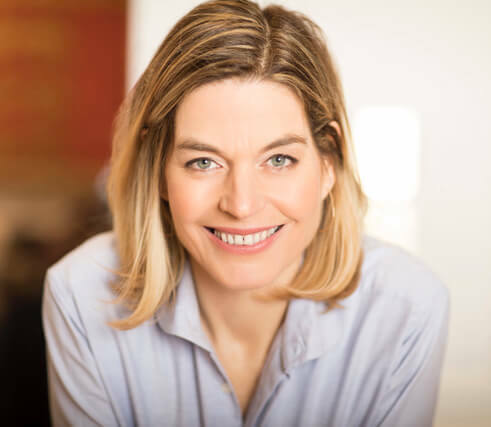 Her voiceover craft is also supported by her many years coaching the Alexander Technique, a renowned approach to optimising performance, where she not only cultivated her own skills but those of many others. Writing is in Daisy’s bones and interpreting copy and bringing it to life is a natural passion. Daisy’s background and skills have lead her inevitably to a career in Voice Over, where it all comes together with a certain zing! Oh, and she also speaks Russian! Jay Horace Black's story starts in a bar over 20 years ago. An old friend he hadn't seen in 5 years said, "Jay, you should call my agent." He did. 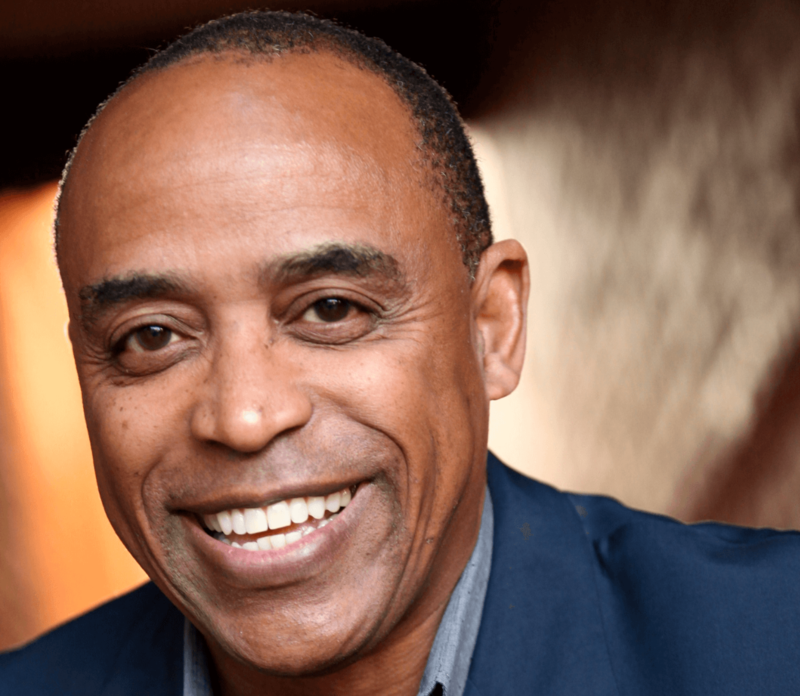 This launched his successful career as a voice artist, actor, print, runway model, and an on-camera talent in TV commercials, film, and corporate training videos. As a USA talent and member of SAG AFTRA Union, Jay has appeared in television commercials for international/national companies Walmart, Kohls, Walgreens, Visa, and more. Voiceover clients include Texaco, NyQuil, Comcast, Infinity, and Fortune 500 companies such as Eli Lilly Co. Jay was honored to play a few characters in a dramatic audio theater format of “The Word of Promise” audio Bible where he read opposite Gary Sinise and Jeff Goldblum. Jay has performed as a presenter for Caterpillar and walked the runaways for a worldwide BET "live" audience, Nordstrom, Saks, and other national brands. He has performed in local theatre, improv, opera and film. Born in the United States, he served active duty in the U.S. Air Force as a Diet Therapist and is an expert in nutrition. He continues to build on his skills in holistic health, kick boxing, martial arts, and fitness. Jay is passionate about collaborating with clients to meet their goals and build their brand. He looks forward to working with clients for British Voice Over UK to make their projects come to life. Turnaround time is 8 business hours for most projects. Doug is excited to be joining the team at British Voice Over UK! Doug is an award winning, BAFTA nominated, actor and voice artist. 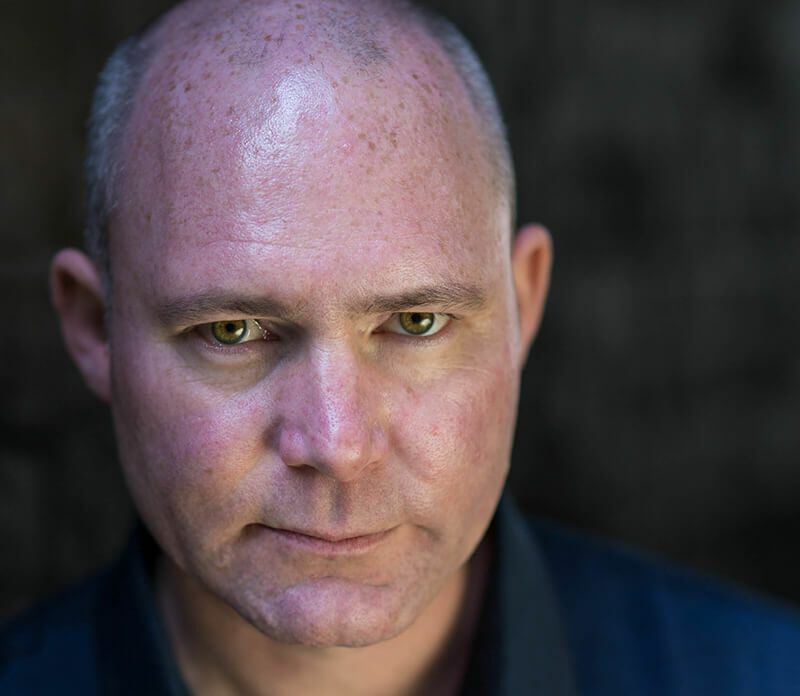 American by birth and trained in the US he has lived in the UK for over 17 years and has worked in film, television, radio, corporate video, theatre and video game voice acting for over 23 years. Known primarily as the voice of Geralt of Rivia in The Witcher game series, he has lent his voice to numerous other game titles including The Division and Quantum Break. Film and television titles you might see him pop up in include Band of Brothers, Reign of Fire, The Tailor of Panama and several commercials including Cheerios and Sprite. Until recently Doug was the Course Leader for the BA (Hons) Acting course at Arts University Bournemouth where for 13 years he passed on his craft to aspiring actors with a wonderful team of other dedicated teachers. All while still working as a professional actor! Not an easy balance, but worth every moment. 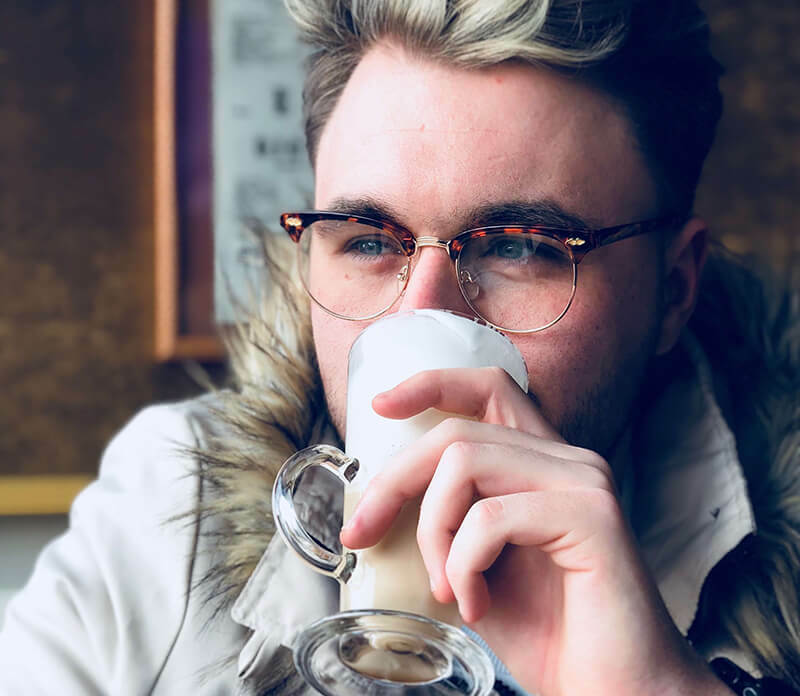 Returning now full-time to the acting industry he is keen to expand his significant work and experience in games voice acting into other work as a voice artist. Jennifer has lived and worked in Los Angeles, New York, Southwest Florida and now Atlanta, where she currently resides. An actress for 20 years, she brought voice over into the mix 10 years ago. Several of her voice over clients include: Apple Computer, DC Comics, US Army, Whirlpool, KitchenAid, Lockheed Martin, Moen, Cisco, and thousands more. She voices commercials, corporate narration, e-learning, medical narration, IVR, radio imaging, animation and videogames. 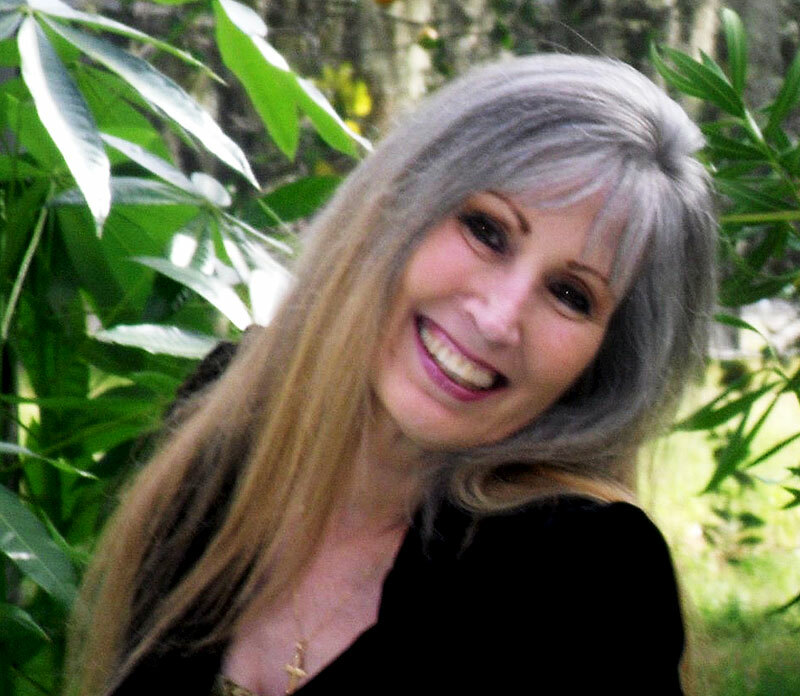 She has a classic, expressive, warm female voice with standard American accent. On-camera, Jennifer has been on TV shows such as: Criminal Minds, Bloodline, Burn Notice, Close to Home, Graceland and MTV’s The Inbetweeners. A selection of her national and regional TV commercials includes clients such as: Home Depot, Choice Hotels, McDonalds, Publix, FluMist and the Florida Lottery. Jennifer is also a passionate acting coach. She co-wrote and produced the award winning short film Job,as well as the feature film Fallaway currently in post-production. Outside the booth and off set, she is a culinary goddess, making the best box brownies you’ve ever had. After a successful career as an International Sales Manager providing materials for Airlines and the Space Shuttle, Mark turned his attention to his first love; the Entertainment business, in 2003. He began as a Voice Over Artist in San Francisco but quickly won parts in Films starting with the Matrix, TV Commercials and Print Ads. With a move to Los Angeles in 2007 he won this first recurring role on the Soap Opera's NBC's Passion's and CBS's Bold and the Beautiful. After many TV appearances on shows such as America's Most Wanted, Cold Case, Without a Trace, Rizzoli & Isles. With many others besides, his Voice Over career flourishes from his Los Angeles Studio daily. With a long list of corporate and international clients, his Voice can be heard somewhere in the world each day. Proud of a long list of partner Voice Over clients and on-camera appearances, he is scheduled for the 2018 Superbowl. Writing and Producing TV/Film content has become his next career phase and success is the one word we can always use for Mark! Voice Talent Lauren Holladay records and husband Mark Holladay teams with her to produce your audio and deliver it anywhere on the Planet! Lauren has won a record amount of Global projects. She has happily met new clients from Germany, Russia, India, Dubai and Australia, just to name a few of the Global clients that Lauren was hired for and has continuing relationships with! Lauren is located in Sunny South Florida, U.S. but available globally via FTP and email. Just some of her commercial clients include:- Disney, Coca Cola, Delta Airlines, Dr. Pepper , Xerox, Cisco, Humana Hospital, Michelin Tires, Petco, Neiman Marcus and Brighthouse. For e-Learning and training, to name a few..., Medical (long form) Eli Lilly Pharmaceuticals and also Alcon (Novartis Company). 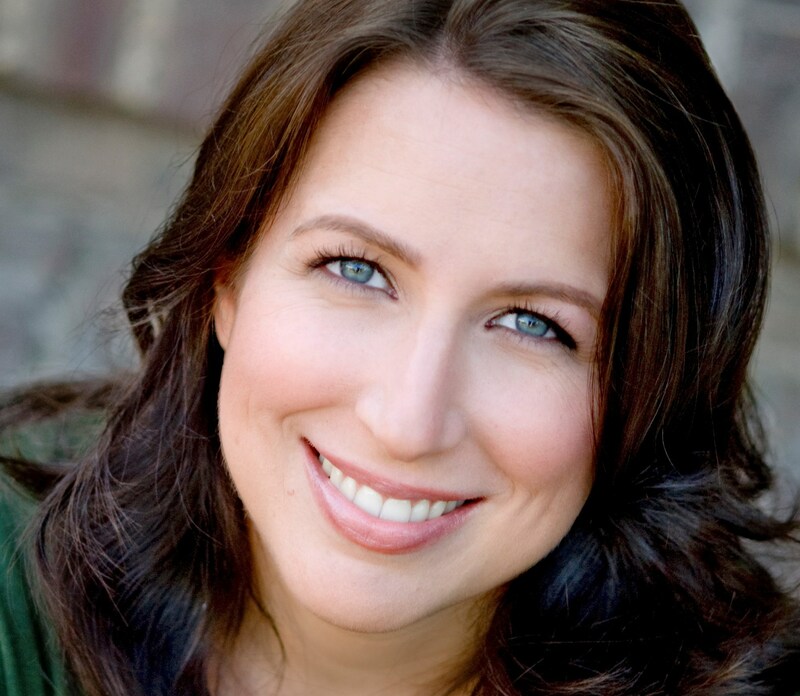 Cutting her teeth in radio and television, on and off camera, Lauren has been an actress for more than 20 years. She knows what advertisers are looking for. Her many years in this field has given her the skills to interpret copy, so she understands just what the client wants. Peter has worked with Tanya for many years. He initially contacted her when requiring an additional voice when he was recording for France 24 News TV, English Channel. Peter has over 30 years in the broadcasting industry, which started with a scholarship to the BBC who also provided him with extensive studio training. He was posted to London TV Centre. Peter has worked as a Manager of Communications for major corporate companies in the UK, USA and Europe and is an accomplished copy writer for commerce with over 300 documents published. He has over 3500 BROADCASTS that have been transmitted by various TV networks across the world and also in-vision reports for major events, for example with Canal Plus for the Cannes Film Festival. His corporate clients include BOEING, AIRBUS, AIRFRANCE, DUCATTI, TOTAL OIL, ESSO, RAI (Helicopter Heroes), TV3 and also National Tourist Offices in France and Italy where visitors can hear an English commentary for the city they are visiting. He has his own professional recording studios, which also provide live connections to studios worldwide. He is a native English speaker, educated in an English private school, has a Degree in Broadcast Engineering and is fluent in French (CECR 2 avancé) with current training in German and Italian. A distinguished BBC voice of the perfect British gentleman with a wealth of professional broadcasting experience! 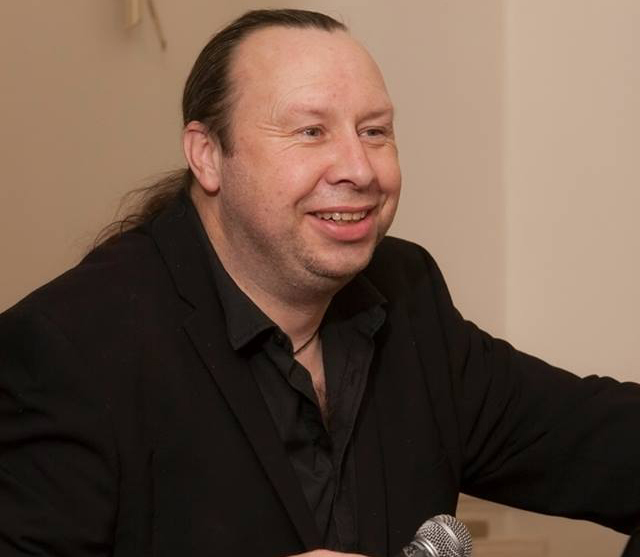 Benni is our fabulous professional radio imaging expert, at British Voice Over UK. 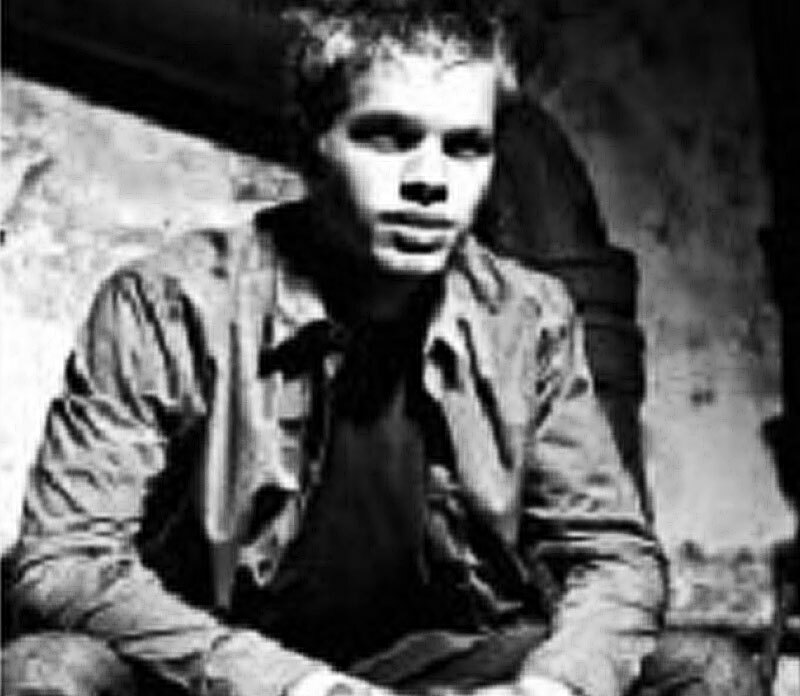 Young & dynamic from Southern Germany, Radio stations have called on his great talent and skills for their radio stations all over Germany and internationally. Mixing it up, his sounds are hitting the air in stations across Germany, UK, Italy and the US of A! Radio imaging and music are his biggest passion and it shows. Radio imaging is very specialist and he is here on hand to put together any mix you need for your station or special event. Benni custom produces your mix specifically designed to your needs and if it is just the music mix you want, we offer discounted radio imaging packages too that are mixed and ready to hit the air for you. Quality mixing to cater for all your radio imaging requirements. Watch this space, Benni is in the houzzzzzz! For most of Matt’s life he has entertained crowds with his piano music, but as time went on the anecdotes and jokes between the songs became a bigger part of his act, until one day he was hired as ‘a comedian (that also plays the piano)’ – after that heart stopping moment, the world was his stage, and he has worked with true entertainment giants such as Elton John, Tom O’Connor, The Supremes, Boy George, Richard Digance, and a host of other stars. Matt is a record producer, accomplished pianist and a comedian (yes he really is!). He has been in the professional music industry for almost 30 years. All this is due to the fact that Matt can adapt seamlessly into almost any situation and audience, using his voice, his sense of humour, and his music to cause chaos. In later years Matt developed his own recording studio “Hangover Hill” (don’t ask!) and that has become extremely successful, with singers, poets, and musicians all respecting Matt’s production ethos, and attention to detail with their recordings. This in turn led him to meet ‘Lyrics’ (Tanya S Bartlett) and the world of voiceovers.That brings us to today, and the idea that top quality voiceovers need not be about jumping through hoops to get what you want. It can be as easy as contacting British Voice Over UK, and talking to us real people. 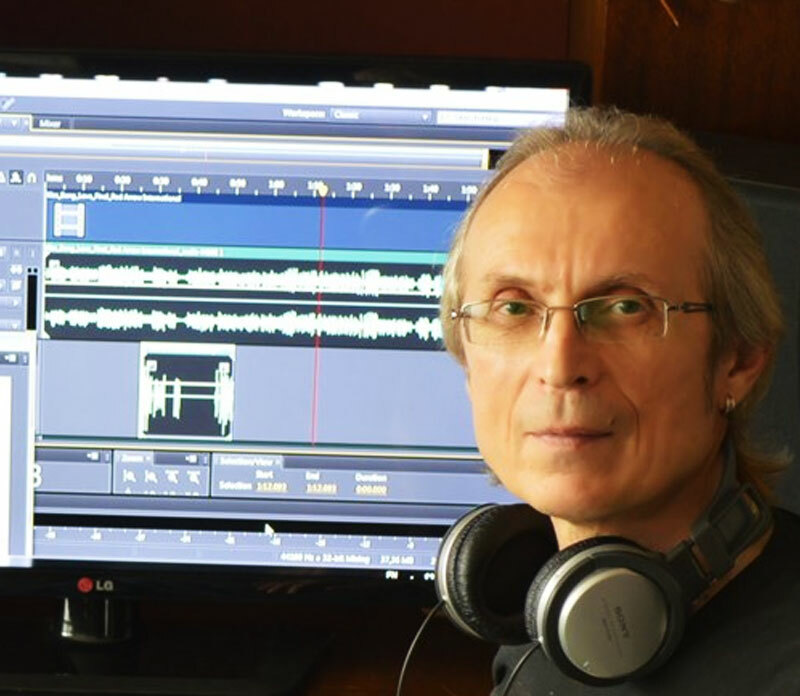 Anton Vasilev is the British Voice Over UK “wingman” and he creates magic for many a project. Super reliable and always, on hand with great professional advice. Anton comes from a strong creative and musical background not to mention he has years of experience in the audio industry so we are lucky to have him. A true asset to the team! HP Z800 Workstation, Creative Sound Blaster Sound Card, Nvidia Quadro FX 1800 Video Card, Sony Monitors. Adobe Audition CC, Izotope RX, Cakewalk Sonar v7.0 Producer Edition, Celemony Melodyne Studio 3.2.2.2, Sound Forge Audio Studio, Adobe Premiere Pro CC V2015, CyberLink PowerDirector Ultimate 12.